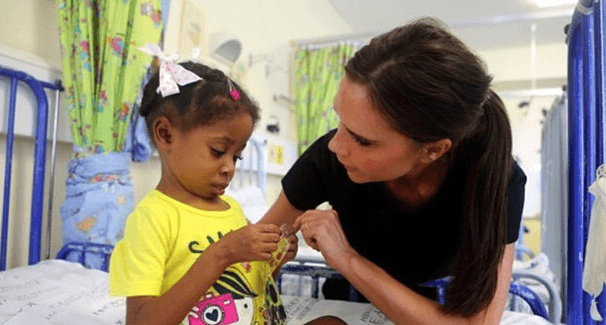 Fashion designer and pop singer Victoria Beckham celebrated the work of mothers2mothers earlier this year in the pages of Vogue and People Magazine, but she isn’t done yet. Later this month, Beckham will auction off more than 600 items of clothing from her personal wardrobe, in a partnership with The Outnet, to support the work of m2m, a 2012 recipient of the Henry R. Kravis Prize in Leadership, in reducing mother-to-child HIV transmission. We approached The Outnet as they have an incredible global reputation and are the perfect partner for us to build awareness and raise as much money as possible for Mothers2mothers. Visit here for more information on the upcoming Beckham auction. That’s so nice of Beckham. I love him as he is so kind!